Funny that a name at the bottom of the poster ends with "Chettiar"
Now you can give equal space all kind of views. Nobody can accuse you you of being partisan. This thing will be a hit!. Badri Why don't you rename the blog as "Posters in tamil" instead of //Thoughts in tamil//. just poking you. 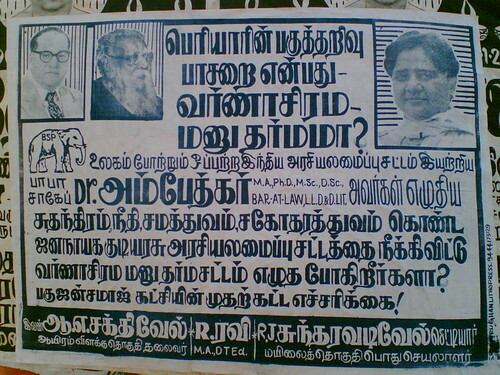 Or may be create a seperate blog " Posters in Tamil " and give link to your site. You can also allow readers to send in some posters. Remember, We gave you the idea first.